Attention all Real Estate Agents! Do you want to stand out from the crowd and really stay in the minds of your clients and prospects? Well, you’re in luck…its tax appeal season! For the next few of months homeowners across the Philadelphia region will have a chance to appeal their tax assessments. This is a great opportunity for real estate agents to reconnect with current clients, old clients and prospects! It’s also an opportunity to bring real value and show them that you’re not just any-old real estate agent but, a trusted partner who is looking out for their best interest. Over the next few weeks, try reaching out to your old clients and prospects suggesting that they might want to consider appealing their taxes. Show them that you’re looking out for them and want to help them save money. Imagine how happy your client would be if you were able to help them save hundreds or thousands of dollars off their tax bills each year! If you have any questions on how the assessment and appeal process works (in Philly, Montgomery, Bucks, Delaware, Chester or Berks Counties) or how to figure out if your clients/prospects would be good candidates for an appeal, please feel free to contact our office. It was almost 60 degrees this past weekend and really started feeling like Spring. I know I just probably jinxed us into another blizzard or two in March and April. Regardless, the weather got me in the mood to do some clean-out in our garage. While moving some things around and tossing others, it got me thinking that now is the time for agents to start doing “Spring Cleaning” with their current inventory. We all know Spring is when the Buyers come out of hibernation and savvy Sellers want to list. Now is the time to revisit those listings that maybe haven’t moved as quickly as once hoped. Perhaps, the sellers have been “stuck” on a price or maybe the original list price was just too aggressive. What ever the case, if your listing has been on the market for longer than the average days on market for your area, it’s time to rethink your pricing. There are thousands of shiny, new listings on the horizon. These listings are going to compete directly with your older listings. Many of the buyers currently in the market are anxiously waiting to see these new listings, even holding off pulling the trigger until they arrive. Some of them are the same buyers that may have already seen and passed on your listing. The only way to get their attention again is to make a calculated change to your pricing and marketing strategy. • Be honest…with yourself and your client. If the pricing of the house was off from the beginning, admit it and start fixing the problem. • Be realistic…sometimes real change hurts. Adjusting the price by a couple hundred dollars just to have the listing show up on the hotsheet probably isn’t going to do it. Real change will involve careful thought and meaningful action. • Be willing to seek help. We all like to be the real estate expert. We all like to think we have our finger on the pulse of the market and our pricing is spot on. Well, this goes back to point one. Be honest with yourself…sometimes we need help or a fresh set of eyes to look at the situation. Be willing to get help from another agent, your broker or a real estate appraiser. • Be willing to walk away. Sometimes cutting ties is best for all involved. Maybe your Seller is unwilling to budge on the price or “has to get” a certain number. This is where you have to make a sound business decision. Are you able to help your client to the best of your ability in a situation like this? If not, it’s probably time to step away and direct your talent, effort and energy elsewhere. The 2016 Spring Selling Season is poised to be pretty significant. Low inventory, low rates and pent up buyer anticipation are going to add up to a hot market. Hopefully, you and your clients can take full advantage of it with adjustments to the pricing of your older inventory. If we can be of assistance to anyone considering making some changes please feel free to contact our office. We are always helping agents and their clients with Pre-listing and Market Value Appraisals as well as Home Measuring Services. * Data obtained from TReND MLS. Average Days on Market measured from February 1, 2015 thru February 22, 2016. 2013 Tax Appeal Deadlines are Approaching! It’s Tax Appeal Season, again. If you haven’t already started the process, you better get moving! The deadlines are approaching quickly. If you miss the filing deadline, you miss your opportunity to reduce your assessment for another year. No excuses, no second chances. In fact, not filing on time could cost a property owner thousands of dollars in unnecessary taxes. If you’re not represented and are filing an appeal this year, we strongly recommend filing in person at the county assessor’s office. When delivering your documents be sure to request a receipt from the clerk. This creates a paper trail that shows when you filed and who took receipt of your documents. If you are mailing your documents send them certified mail, so that there is a record of them being received. The counties receive thousands of appeals each year and sometimes things fall through the cracks. When filing be prepared to pay any necessary filing fees. The fees will vary from county to county. For any fees that pertain to your specific county we recommend visiting the Assessor’s website or calling their office. You should also note that if the filing deadline falls on a weekend the assessor’s office may move the deadline to the following business day. Again, this is something you should verify with your county’s assessor’s office. The appeal filing must be completed with appropriate documentation and fees no later than the end of business on the deadline date. However, that doesn’t mean that you can’t file days or weeks prior to the deadline. If you have any questions about tax assessment appeals please contact our office. We will be glad to assist you. 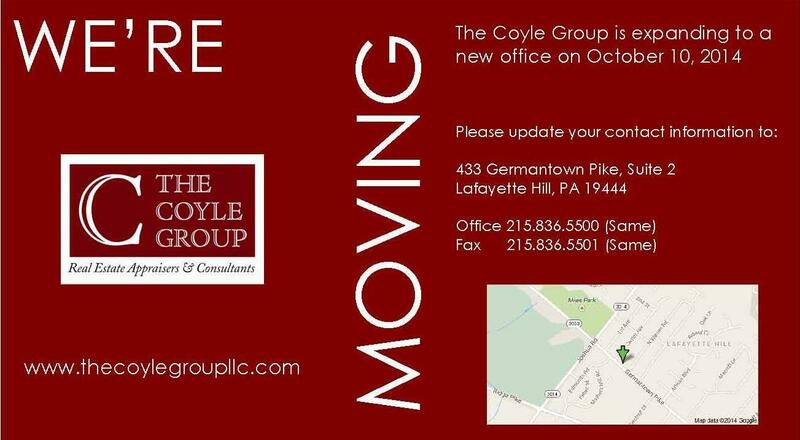 Please feel free to call us at 215.836.5500 or email appraisals@coyleappraisals.com For more information please visit our website at www.TheCoyleGroupLLC.com . Appraisers across the USA hear those words at least once a week from well-meaning homeowners. What many homeowners don’t realize is that Zillow, while a very useful tool, is not always the best indicator of the actual value of their home. A Zillow Zestimate is not an appraisal. In fact, if homeowners use Zillow to help them price their home for sale, they could be leaving thousands of dollars on the table, as we will show you. As you can see there are some pretty dramatic deviations between Zestimates and the appraisals. Based on our appraised values Zillow under valued 13 of the properties. In some instances Zillow was almost right on, take for instance the condo in The Dorchester. They were only off by 1.62%…that’s pretty good if you ask me. For the condo at The Murano, they were off by more than 25%…waaaay off! On average, Zillow under-valued the properties by 12.39%. In the case of the South Philly row, the Zestimate was over by more than 30%. However, I can’t fault Zillow on this one. The property was really dated and needed a great deal of work. But this does illustrate how having a full interior inspection of a property can lead to more accurate values. Also, the Mount Airy twin was over-valued by 12%…but this doesn’t surprise me, everyone in Mount Airy thinks their home is worth more than it is. Just kidding. Now imagine that you’re a homeowner getting ready to sell. You hop on your computer, plug-in your address and Zillow says your home is worth $300,000. Based on our findings, if Zillow under-values properties 12.39% on average, you (the homeowner) could potentially be leaving $37,170 on the table. That’s serious money! This illustration underscores the importance of consulting with a knowledgeable real estate agent or Certified Real Estate Appraiser. Getting a Pre-Listing Appraisal prior to putting your home up for sale and knowing the true market value of your home can save you time, money and effort when it comes to selling. As for Zillow, keep in mind that it is a tool…a starting point. It’s great for neighborhood data, graphs, general sales information or for seeing what your new neighbors paid for their house. It’s probably not the best place if you’re looking for assistance with making definitive decision or properly pricing your home for sale. 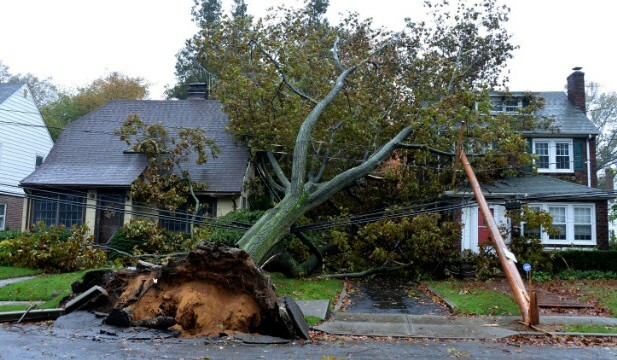 I hope that everyone is well and safe after our brush with Hurricane Sandy. I know that as of the writing of this post many of you are still without power (my own house included). In the next few days and weeks as things get back to normal, some of you will become familiar with the term “Disaster Inspection”. If you recently refinanced, purchased a home or applied for a Home Equity Line of Credit where an appraisal was completed on your property, you will almost certainly come to know what a “Disaster Inspection” is. Whenever there is a significant natural disaster or catastrophic event (such as Hurricane Sandy, Hurricane Irene and, yes, even 9/11), many lenders will require that Disaster Inspections be completed on loans that are in process, have recently settled and some that may have already been moved to the secondary market. This is done so the lender is able to better assess the risk a particular disaster has on their loan and portfolio. It also, in many cases, lets the lender know if the property is still standing or if it has been heavily damaged. From there the lender can take the appropriate actions. Having a Disaster Inspection done at your home is a painless process. It involves a inspector (sometimes an appraiser) visiting your property. Depending on the needs of the lender, an Exterior or Interior inspection will be necessary. 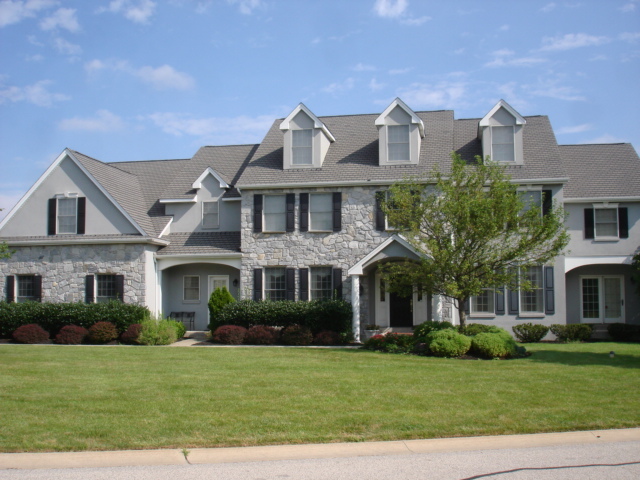 An Exterior inspection is just that, a visual inspection of the exterior of the property. Photos are taken of the front, back and street. If there is apparent damage, pictures will be taken of that, too. Oftentimes, there is no need for an appointment to complete an Exterior inspection. Interior inspections are just as painless as an exterior, with the exception that the inspector is required to view and photograph the interior of the property, as well. The inspector will usually call to schedule an appointment to see the property. The actual visit will take no more than 5-10 minutes, or as long as it takes the inspector to get the necessary photos of the property and any damage. If you or one of your clients recently went through the refinance/lending process, chances are you will have a Disaster Inspection completed of your property. So, if you see someone taking pictures of your home, it may just be a Disaster Inspection. It’s Tax Appeal Season, again. If you haven’t already started the process, you better hurry up! The deadlines are approaching quickly. In some cases, the deadlines have even been bumped up. If you miss the filing deadline you miss your opportunity to reduce your assessment for another year. No excuses, no second chances. In fact, not filing on time could cost a property owner thousands of dollars in unnecessary taxes. * Please note that Montgomery County moved the traditional September 1st deadline up a full month to August 1st, which is keeping in line with the other counties in the area. If you not represented and are filing an appeal this year, we strongly recommend filing in person at the county assessor’s office. When delivering your documents be sure to request a receipt from the clerk. This creates a paper trail that shows when you filed and who took receipt of your documents. If you are mailing your documents send them certified mail, so that there is a record of them being received. The counties receive thousands of appeals each year and sometimes things fall through the cracks.